A word component for Microsoft Word to open and interact with doc, docx, rtf, txt files. 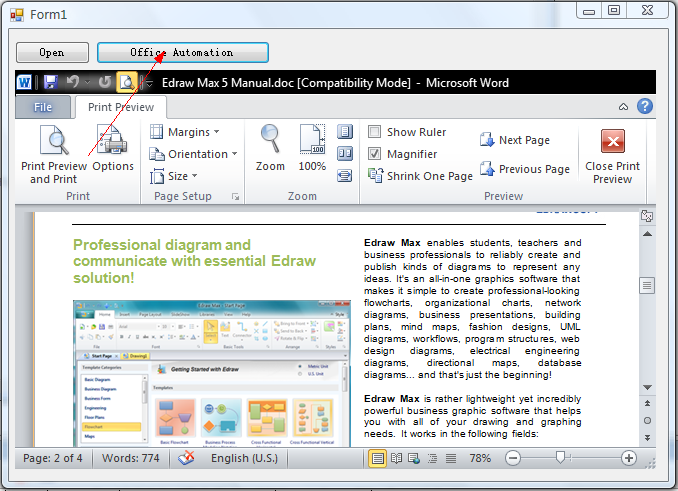 This word component allows developers to open MS word files for in-place editing or viewing. It can be easily integrated into applications written in languages that support COM component such as Visual C++, Microsoft Internet Explorer, Visual Basic, Delphi, WPF, C#, VB.NET, C++ Builder and .Net languages to view Office files inside their main solution, and give them programmatic control over the document while it is embedded.